Will Installing Solar Panels Actually Save You Money? That installing a solar power system at home will save homeowners money in the long-term is well-known, but the real question for most people thinking about installing solar panels is how long until they start saving money, given the initial outlay involved, and how much can they actually save? While an exact answer can’t be given here due to the complexity involved, by looking at factors such as the location of your home, your usage patterns and the size of the system you install, it’s possible to gain an estimate of how much money you can save with a quality home solar power system. Although Australia boasts the highest concentration of solar radiation in the world, the location influences how much solar radiation is received, with states like Western Australia receiving more solar radiation than states like Tasmania. However, it’s possible to achieve the same results with a bigger system, for example, installing a 3k system in Hobart would deliver about the same amount of solar energy as a 2k system here in Perth. It’s important to identify your current energy consumption before deciding on a solar panel system for your home as the higher your household’s energy demands, the larger the system you require. If you’re to save money by installing solar and get the best results, you need to select the right system. Until battery storage technology improves, usage patterns will play a major role in determining how much homeowners save by switching to solar. This is because solar systems produce energy when the sun is shining, with any excess electricity produced fed back into the grid, which the homeowner is credited for by the energy provider. The solar energy is used first, then electricity from the grid. 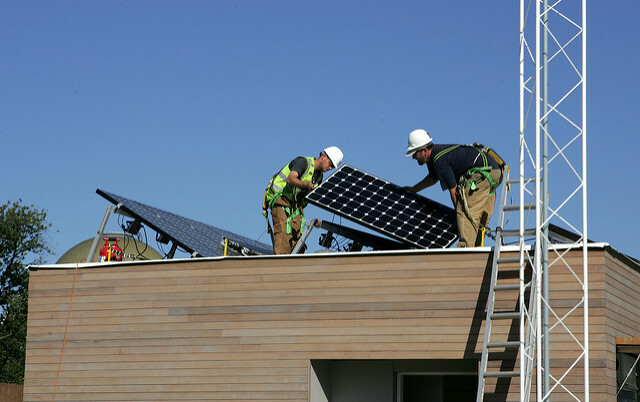 The higher the feed-in tariff rate, the more money homeowners save by switching to solar. When your solar panels are installed and the system is set up, you’ll sign an agreement with an energy provider that credits you for the excess electricity generated and sold back into the grid. As different energy companies offer different tariffs, contact several companies and see what they can offer you. When you know the feed-in tariff, you can then calculate how much money you’ll save by switching to solar, an environmentally-friendly energy source that we’re blessed with an abundance of here in Western Australia. Naturally, the larger the system the more energy it generates and the more you’ll save in the long-term. When choosing a solar power system, choose one that covers your daytime power usage and also generates a little excess to reduce the cost of purchasing electricity from the energy provider. By focusing on these factors, you can roughly determine how much you’ll save by switching to solar. If you also have a solar hot water system, keep it operating at optimal levels with periodic servicing by Solar Repairs Perth. For fast, efficient and cost-effective solutions for all hot water problems, call (08) 9200 4331.